Crock Pot Potato Soup. This isn’t just soup, it’s a meal. A delicious, thick, creamy, flavor packed meal. The base of the soup is flavored with chicken broth, onion, roasted red peppers and spices. It is thickened toward the end of the cooking time with cream and flour. More cream is added to make the soup rich and delicious. 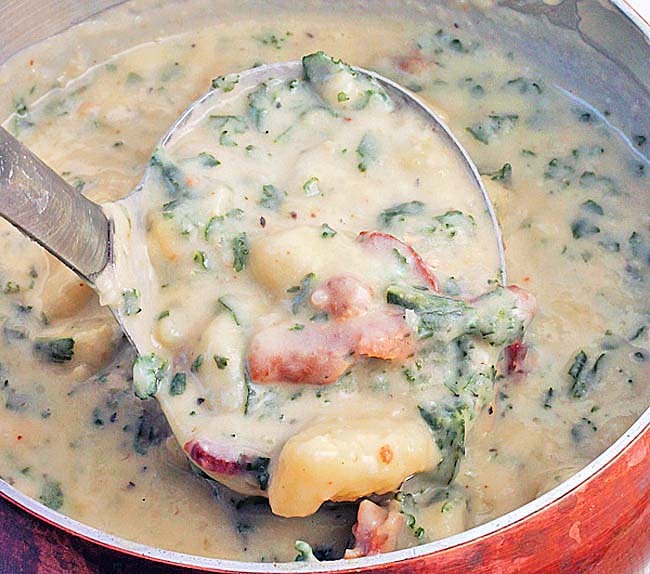 The addition of Parmesan cheese ,bacon and cilantro round this up to an outstanding hearty one of a kind potato soup you’ll absolutely love. Served with crusty bread or rolls and dinner is served. Paul said this was better than Panera Bread’s Potato Soup! It’s definitely a keeper! Enjoy! Combine the first 9 ingredients in a 5 or 6 quart crock pot. Cover with the lid and cook on low for 5 or 6 hours or until potatoes are tender. Combine the flour and 1/2 cup of cream in a small bowl, mix until smooth. Stir into the broth in the crock pot. Add in the 3/4 cup grated Parmesan cheese, crumbled bacon, cilantro and remaining cream into the crock pot. Stir to combine. Cover and continue cooking 30 minutes until soup is slightly thickened. 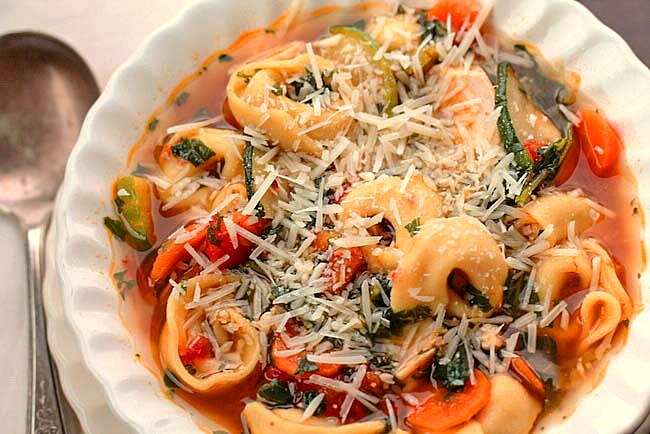 Place soup into bowls, sprinkle with remaining Parmesan Cheese, serve. As with any recipe, feel free to add ,subtract or increase spices and seasoning to your taste. For a beautiful presentation top the soup with the bacon and cilantro instead of adding it to the soup. What a simple yet filling recipe perfect for this time of year!! I’ll be sharing this as the Top Recipe for tomorrow’s blog post! Thank you Mr. CBB! I appreciate it! Thanks for stopping by! 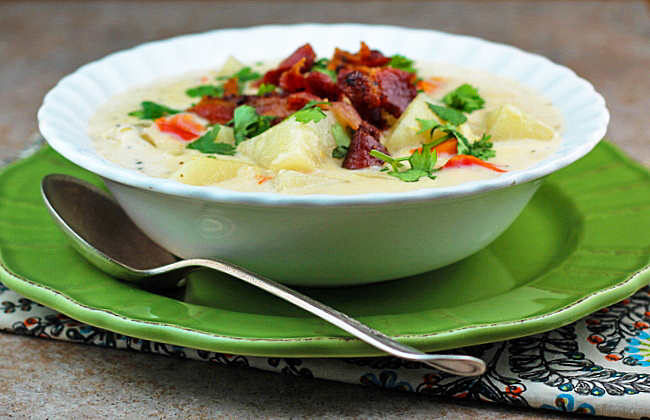 A delicious Crock Pot Potato Soup for the cold winter days ahead. Can’t wait to make it. You’ll love it Joanne, thanks for stopping by! One of my favorite soups. Especially love the crispy bacon on top. Thank you Barbara, we loved it! Thanks for stopping by! 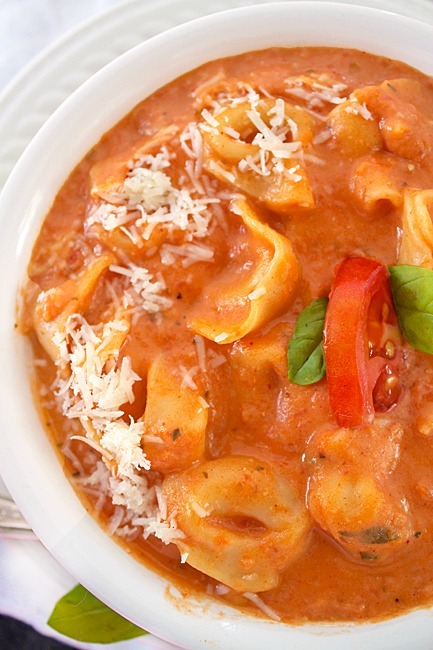 What an unbelievable delish looking soup! Gave this one lots of love! 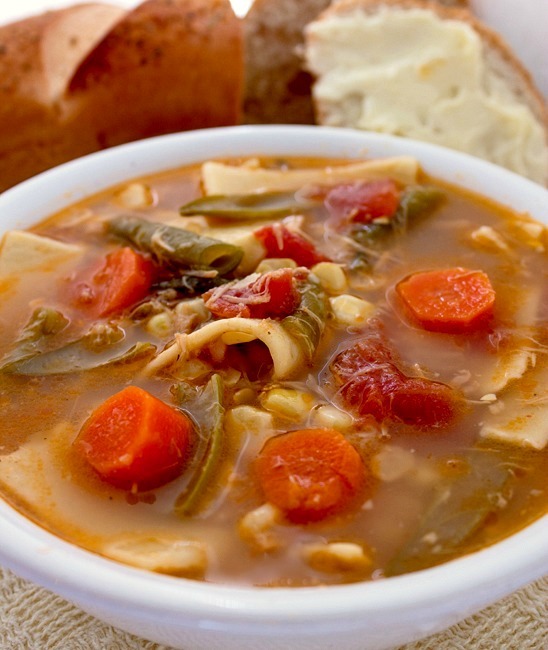 Beautiful photos of this delicious crock pot soup! ; perfect for our cold weather!! That looks soooo delicious! I want to make it immediately. I’m assuming that calorie count listed is for the whole pot, and not per serving, lol. Either way, it’s gorgeous! I am so bad at filling in that calorie counter! LOL!! Thank you for stopping by Karen! Looks yummy! I’m going to try this week. Will go well with this weather. Hi Patricia, oh yes it will definitely warm you up! Thanks for stopping by! Yum! This looks so warm and comforting. I wish I had a big bowlful right now! Aimee I’ll swap you soup for the Chex mix you made!! LOL!!! Looks so good! 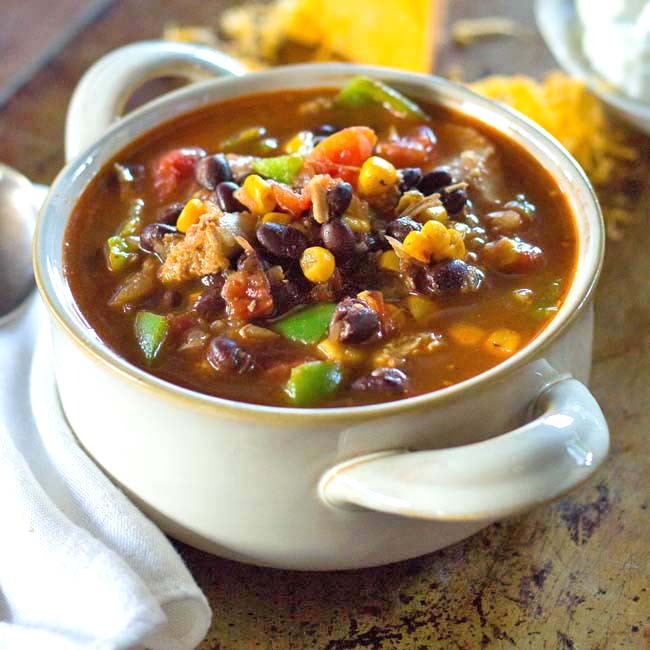 When I see recipes like this gorgeous one, it makes me realize I need to embrace my slow cooker! Yes indeed Patricia, cozy on up to the slow cooker. It make good things for you! Looks so hearty and delish! Perfect for a cold winter night! 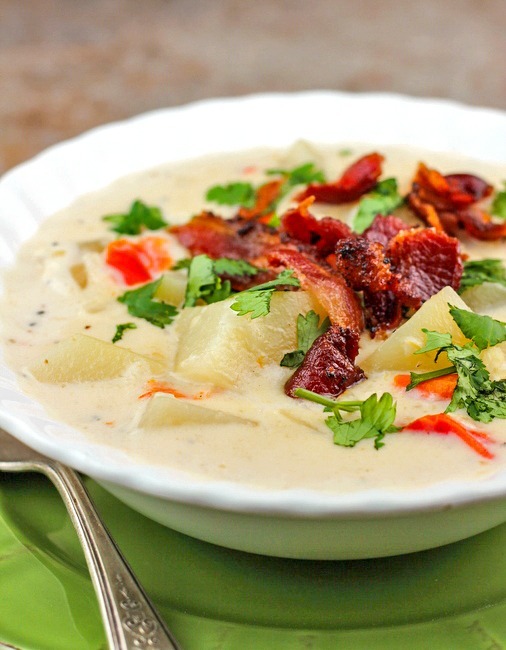 Potato soup is my all time favourite and your soup looks fantastic! You are being featured at Simple Supper Tuesday this week. We would love for you to join us again, starting Monday night at 8pm. Pinning and making! Thank you so much for the recipe! We use our slow cooker at least once a week. This would be PERFECT for us! I’m such a potato fiend. YUM! Pinned. We loved this soup Christie, I hope you do too! Rita this is so rich and good it’s unbelievable isn’t it! I’m so happy you made it and loved it as much as we do!